Welcome to another blog and income update. I should admit when I first started writing my blog updates I was nervous. Honestly, sharing these updates have helped me so much and I hope they are helpful to you all in some way. I am learning something new every day in every aspect of blogging, and I love sharing my experiments with you. This month was again a slow month regarding traffic due to a dip in Pinterest. As I mentioned last month, I changed my posting frequency from three times a week to two times a week. I believe this did not have much impact on my traffic. If you are thinking of starting a blog, just do it. I took the leap and started my blog, and now I am making significant income from it. It took time and hard work, but it is all worth it. I have a very easy step-by-step guide to start a blog even if you are not a techie. So, go ahead and start your money-making blog. There are two reasons I share my blog update and income report, first to be accountable and then to show you no matter how young your blog is, you can make money from it. I had slightly low traffic compared to last month, but the things that I am happy about are growing returning visitors and the decreasing bounce rate. I owe most of my Pinterest traffic to the manual pinning that I do following the strategies in Pinteresting Strategies. This eBook has changed my Pinterest game totally. My subscribers are growing at a good pace, but I am working on expanding my list more aggressively from next month. My list is at around 1,400 now. Though my opt-ins are doing good, I need to work more on increasing my subscribers and offer more freebies. Once again this month my follower’s count has grown more than 1k and slowly the traffic from Pinterest seems to be picking up. I have been making some changes to the board descriptions and updating old pins, which seems to be getting traffic. Apart from working on Pinterest, I have been focusing on traffic from Facebook and growing my reach on this platform. I have been experimenting with Facebook ads as well. My organic reach is growing and I am really excited to test new things on this channel. The Facebook GPS course that I am doing now has some amazing tips. I can’t wait to finish the course and work on the strategies. Apart from sharing my posts and retweeting, I am not working more on this social media channel. I hope I can focus on Twitter more in coming months. I have been working a lot on Instagram, and I am happy that my follower’s count has increased to 230. I am excited to grow on this platform as it allows me to share my love for photography and traveling. I love the freedom I get to pursue my passions and all this is possible because of my blog. 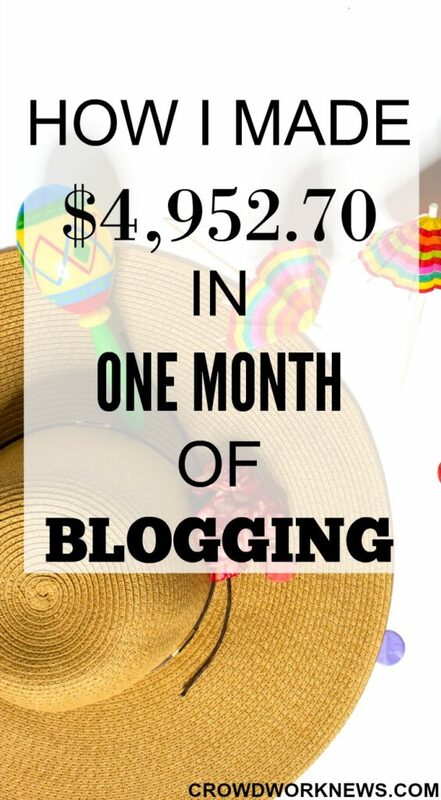 Last month, my blog income was $4,952.70, and most of it was from affiliates and ads. I have been working on diversifying my income, and I am quite happy that it is working. 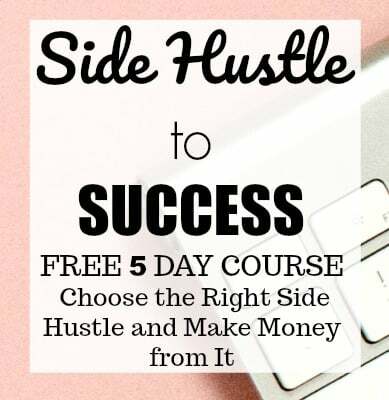 I believe affiliate marketing is the best way to make money blogging and I got the biggest help that I got early on was from Making Sense of Affiliate Marketing course. 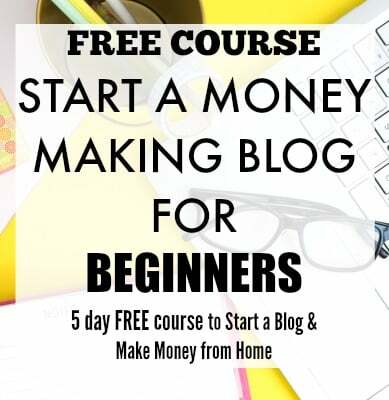 This course has done wonders to my income, and I highly recommend it to anyone who is serious about making money from blogging. I have been working more on growing Pinterest traffic by updating old pins and changing board descriptions. I am also creating more related niche boards, which can be helpful in being found in searches. As I mentioned earlier, I have been working on other social media channels like Facebook and Instagram apart from focusing on SEO. Blogging is not merely writing content. It’s so much more than that; it’s about promoting, networking, learning new things and giving the best to your audience. It can be overwhelming sometimes especially with the promoting part. I believe different social media channels have different strategies and focusing on what works on them can give you best results. I am also brainstorming on how to create more freebies for my readers. With more interviews and different money making side hustles, I am excited for the next month. I would love to reach 125,000 page views by next month. Though it’s a slow process, I am hoping to see some good results next month as I am working on Facebook along with testing new things with Pinterest. I never have an income target. I love seeing growth in every part of my blog, and I would be happy with any increase. As I am nearing my blog anniversary, I am working on reaching a good income mark. I want to work on growing my subscribers and reaching new audience. My focus next month would be to launch a freebie and increase my subscribers to 1,700. But it can be a smooth process if you implement the right strategies. Here are some resources which helped me to reach this stage, I highly recommend them, and they can be quite helpful no matter at what stage of blogging you are. Your income reports are amazing as usual! How much traffic do I need to sign up for the ad network you’re using? $1k on ads alone is pretty cool! Thank you!! I am with Mediavine and you need a minimum of 25k sessions for this ad network. Thanks!! I am glad you liked the post. Great job, Sireesha! I love seeing your income reports and progress. Thanks for sharing your income reports. Always very motivating! I’m still in the early stages of my blog and I get overwhelmed trying to decide what to work on. Can you tell me more about the survey affiliates you use? Are they easy to work with? Is there any requirements? Thanks! Thanks!! It can be quite overwhelming in the start, I have been there:-). I am with iGain, Maxbounty, Panthera and Blue Media Ventures for the survey affiliates I promote. So far, I have a good experience working with them. They don’t have any requirements to join. Wow! This is inspiring if I do say myself! A few questions regarding manual pinning. I’ve been hearing a lot of rave about it. How do you keep track? How many pins do you pin a day? Lastly, did you stop using Tailwind/Boadboosters? Thanks!! Manual pinning is definitely time taking but it worth it. I simply note down the pins I am pinning everyday. I pin around 80 to 90 pins a day. I still use Boardbooster for looping and Tailwind for analytics. Awesome results! 🙂 I am currently doing the manually pinning method and have been for about 2 weeks and noticed a dip in my traffic this week. Before I started manually pinning I used Tailwind for my scheduling and was getting around 60,000 monthly page views! Did you notice a dip in your traffic when you first started manually pinning? I heard that sometimes if you used a scheduler like Tailwind at first then switch to “only” manually pinning you might experience a dip in traffic the first month with the switch. Thanks!! I did see a dip my traffic when I started with manual pinning, but it was back up in a month. Just keep at it, you will surely see great results.